At Consumer Electronics Show (CES) 2015, Ford has made some very interesting announcements including their Ford Smart Mobility Plan, 25 global mobility experiments and also a share-car project for India which will be piloted in Bangalore. Let us share some of the key details with you on all these three major points. 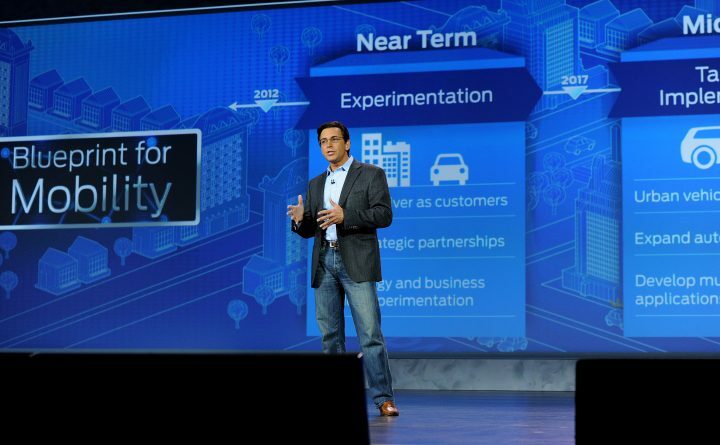 Ford Smart Mobility Plan is to use innovations and technology to take Ford to next level in terms of connectivity, mobility, autonomous vehicle development, customer experience and use of big data to serve the customers better. As we have already seen that Ford is one of the pioneers in terms of using in-car technology with the features like voice recognition, SYNC and more such fore-front smart technologies which make the concept of connect cars closer to reality. The core focus of these experiments is to address the four major global problems which are putting more and more load on mobility, these are- glowing population, expanding middle class, air quality & public health and changing customer priorities for mobility. From Indian perspective, the Share-car experiment will allow small groups such as co-workers or families from same neighbourhood can share a vehicle. This will bring down the cost of owning and using a vehicle as it is a sharing model. The experiment aims as developing a model to schedule the use of vehicle and managing ownership. Talking about the innovate mobility channel series, it has a variety of common challenges like finding parking spaces, gain access to medical care in remote areas, remove traffic congestion in urban areas to name a few. Ford also mentioned its commitment to autonomous vehicle development. Ford already has a semi-automatic vehicle and is working on a the development of fully autonomous vehicle. A fully autonomous Ford Fusion Hybrid research vehicle is already under testing. The vehicle uses the same semi-autonomous technology in Ford vehicles today, while adding four LiDAR sensors to generate a real-time 3D map of the surrounding environment. What do you think about these advancements? Do let us know in the comment section below.